An investor group filed a federal lawsuit against Richmond, Calif., to prevent the city from using eminent domain to seize mortgages of local residents who owe more than their properties are worth in a bid to keep them in their homes. The lawsuit was filed on Wednesday in a Northern California court by mortgage bond trustees Wells Fargo and Deutsche Bank on behalf of an investor group that includes Pacific Investment Management Co, or PIMCO, BlackRock Inc. and DoubleLine Capital LP. 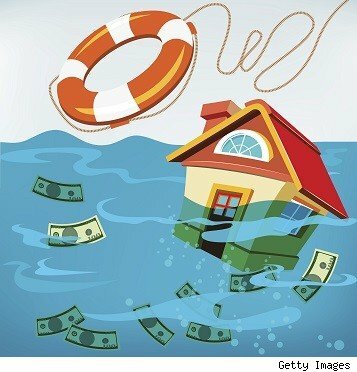 The Northern California city recently sent notice to the holders of more than 620 so-called underwater home mortgages in the city, asking them to sell the loans to the city. It would buy the mortgages for 80 percent of the fair value of the homes, write them down and help the homeowners refinance their loans. The investor group said if the city of Richmond is allowed to go ahead with its plan it may result in steeper down payment requirements and higher interest rates. "The purpose of the lawsuit is to protect retirees and savers from an unlawful and unconstitutional seizure of private property and prevent severe damage to the country's home mortgage market," the investor group said in its filing. Ropes & Gray LLP, the law firm representing the institutional investor group, uploaded a copy of the filing on its website. The filing is not yet available on the court website. The investor group said in its filing that the program is a profit-driven strategy designed to enrich Richmond, MRP and its financial backers. "Such a program does not involve a legitimate 'public use' for which the government's eminent domain power is expressly reserved," the group said. The institutional group requested the court to prevent Richmond from going ahead with its program and declare its plan to seize mortgages as unconstitutional. "MRP has reviewed the lawsuit and is confident that it is without merit. The actions of the city of Richmond and MRP are entirely within the law, and any loan purchase will be at fair value. No investor in any trust will be made worse off by the sale of any loan," MRP chairman Steven Gluckstern said in a statement issued to Reuters. The case is in re Institutional Investor group vs City Of Richmond, California and Mortgage Resolution Partners LLC, Case No. 13-3663, U.S. District Court, Northern District of California. Eminent Domain: A Fix for Troubled Mortgages?